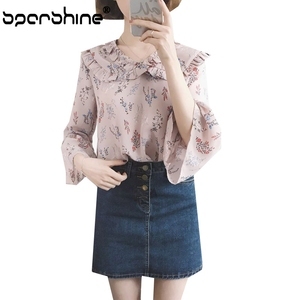 A700 Color as pic MOQ 1 pc (above 2pcs can be cheaper) Fabric polyester and cotton Size S,M,L,XL,XXL delivery time The goods will be sent out in 4days atfer the payment is confirmed. and so on others the more you order,the cheaper the price will be; sample fee will be refunded when customize above 100pcs. size reference photos show about OEM service measuring method Packaging & Shipping 1, We have retailer shop can sell some items in small quantity. textured woven shirt men's shirt long men's shirt sleeve woven men's shirts design freedom we can make all dressshirt similar to your design pictures or you send us your samples. cost advantage material direct import of the company to reduce the supply chain, the cost is relatively low, the most substantial benefit to customers. 2. How can I confirm for making bulk9 Sample made as your request and send to you for approval,After confirming all details then arrange production. Usually sample time needs about 5-10 work days 4: What is your MOQ (minimum order quantity) of products9 Our minimum order quantity is 200pcs for per design. 7: What about your delivery time of clothing9 Can we receive our goods on time 9 Usually around 20-45days after order confirmed. 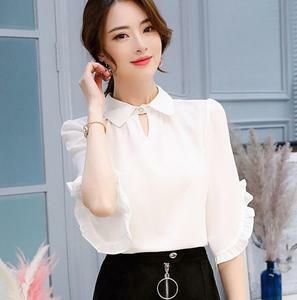 long sleeve women blouse designs office wear ladies ---Material: 100% Polyester This navy blouse has a stylish lace up detail around the detail which takes it away from ordinary, and its simple shape means it would flatter a curvy, athletic or petite figure. 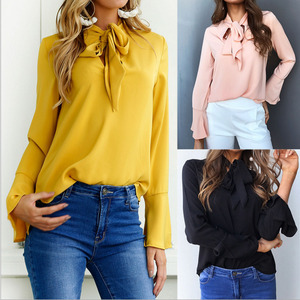 Its length means that it could easily be worn with leggings; this blouse could take you easily from day to night with a simple change out of jeans and trainers into leggings and heels. ---Our MOQ: Low moq for the initial order,accept small quantity, we have our designers team, so your sample/ sketch can be manufactured; ---Samples: lead time 5-10 working days; ---Mass productions delivery time: 20-30 days ; ---Payment term: 1) We accept T/T, western Union, Paypal. 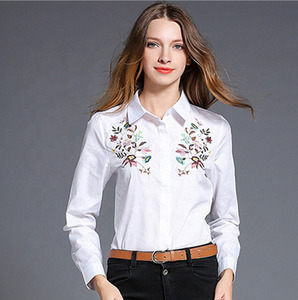 Alibaba.com offers 44,784 office wear products. About 7% of these are plus size dress & skirts, 5% are ladies' blouses & tops, and 4% are plus size shirts & blouses. A wide variety of office wear options are available to you, such as breathable, anti-static, and anti-wrinkle. You can also choose from spandex / polyester, 100% cotton, and 100% polyester. As well as from worsted, chiffon, and satin. And whether office wear is plain dyed, yarn dyed, or printed. 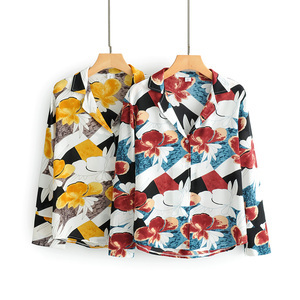 There are 44,784 office wear suppliers, mainly located in Asia. The top supplying country is China (Mainland), which supply 100% of office wear respectively. 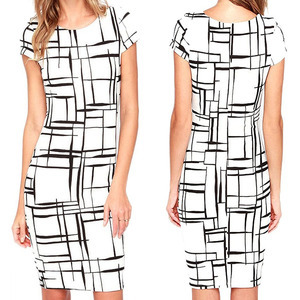 Office wear products are most popular in North America, Western Europe, and South America. You can ensure product safety by selecting from certified suppliers, including 6,451 with ISO9001, 4,550 with Other, and 1,852 with ISO14001 certification.